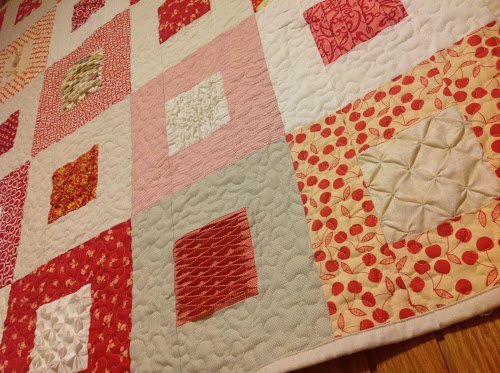 "This is my first sampler quilt that explores texture in fabric. The quilt has 25 blocks. 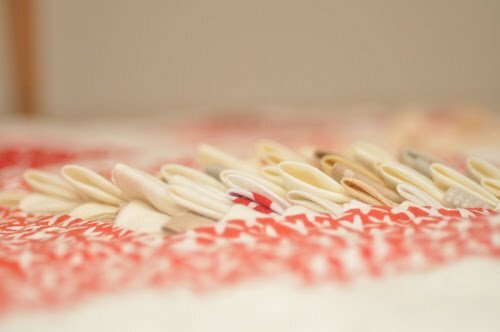 Each block is made out of a centre 5 inch square featuring some fabric texture such as pin tucks, smocking, shirring and the like. Then a 3 1/2 wide border encloses each centre square. 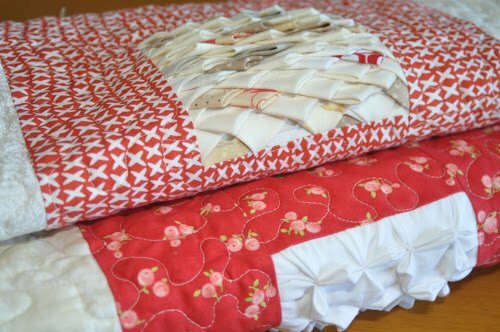 "The colour scheme is red and white/cream alternating reds and white/cream for the centre square and border. Some of the textures show better on plain colours than on heavily patterned fabric." Be sure to explore Teresa's Quilt Tutorials and miscellaneous Tutorials!